Maurice Isserman teaches history at Hamilton College. 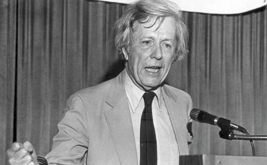 He is the author of The Other American: The Life of Michael Harrington, and the preface to the 50th anniversary edition of Harrington’s The Other America, just reissued by Simon and Schuster. What Would Michael Harrington Say? Fifty years after the publication of The Other America, imagining that the author would find cause for hope—and dismay—in today's political culture.